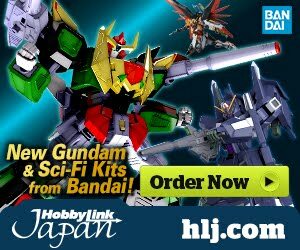 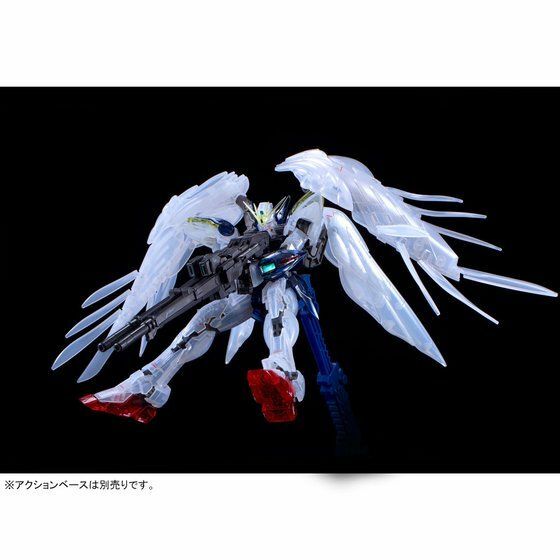 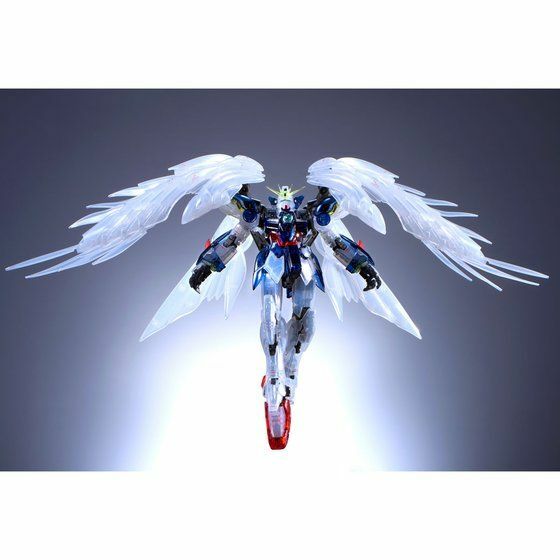 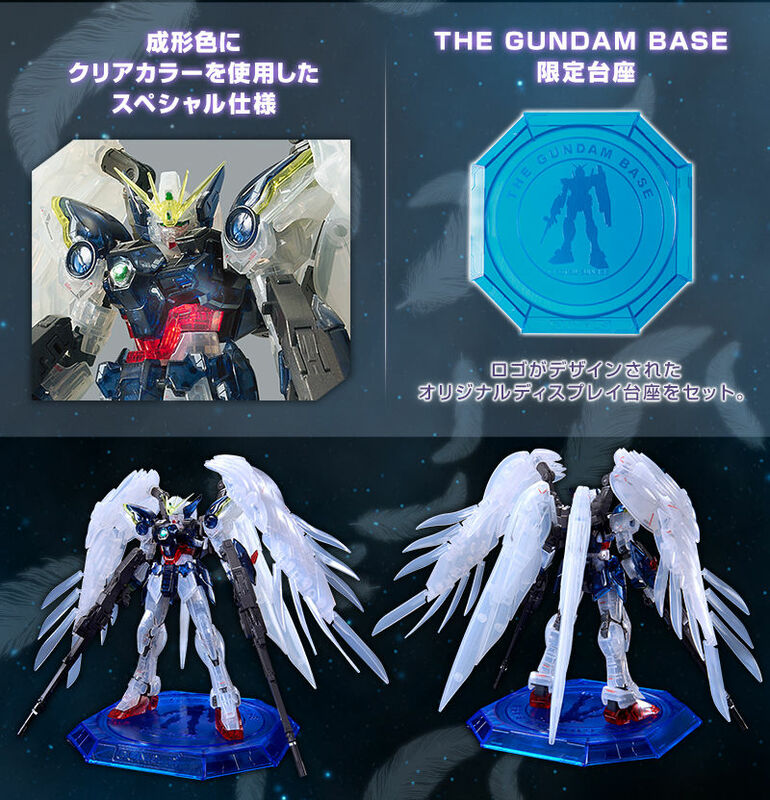 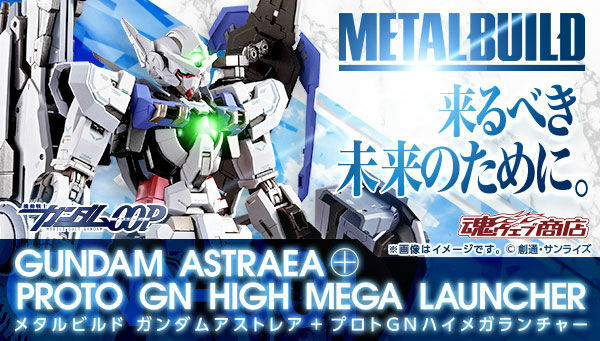 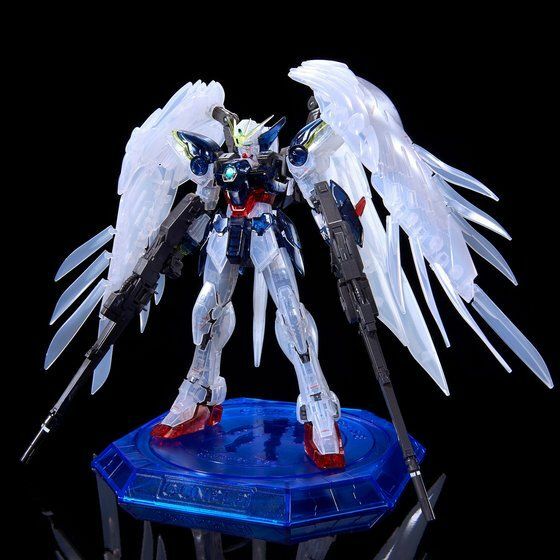 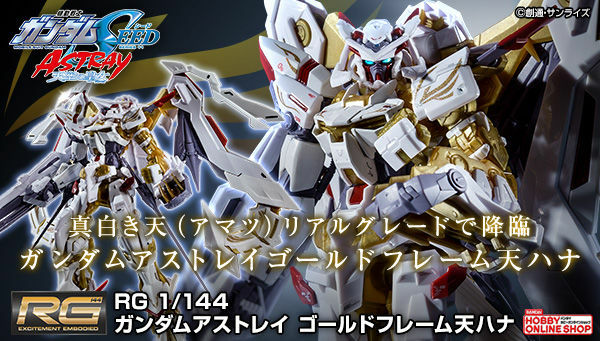 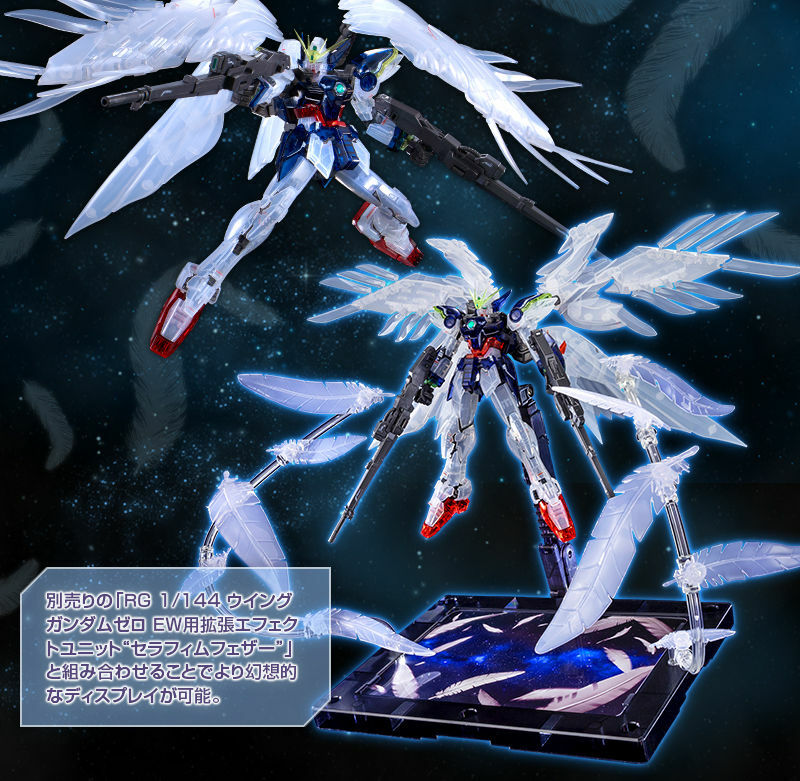 The Gundam Base Tokyo best selection has added another item in the Premium Bandai online hobby shop! 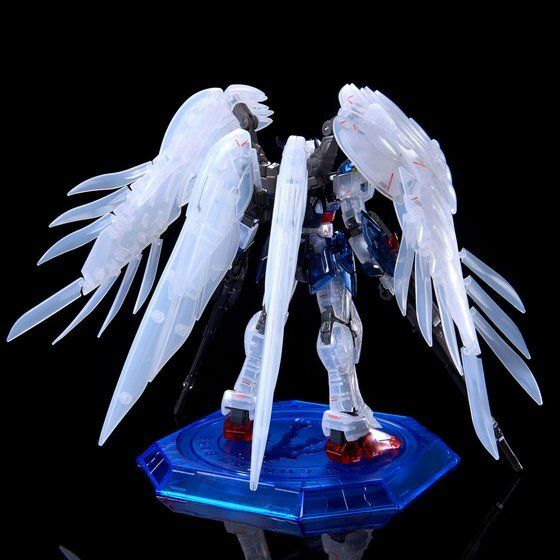 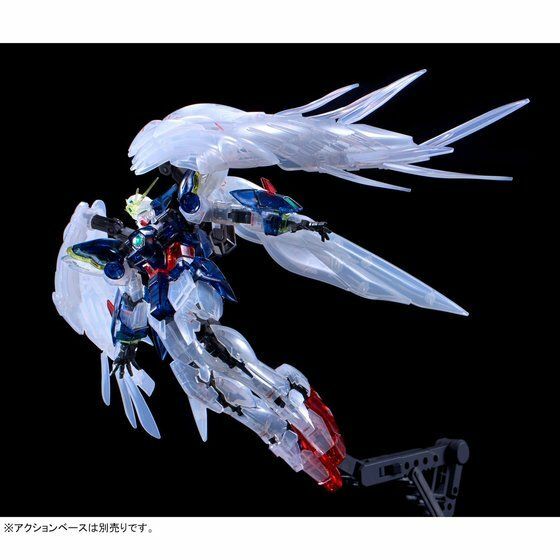 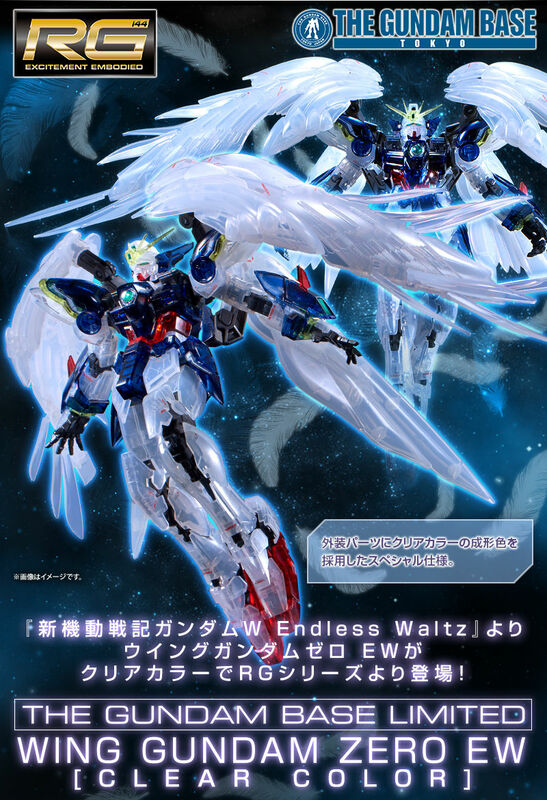 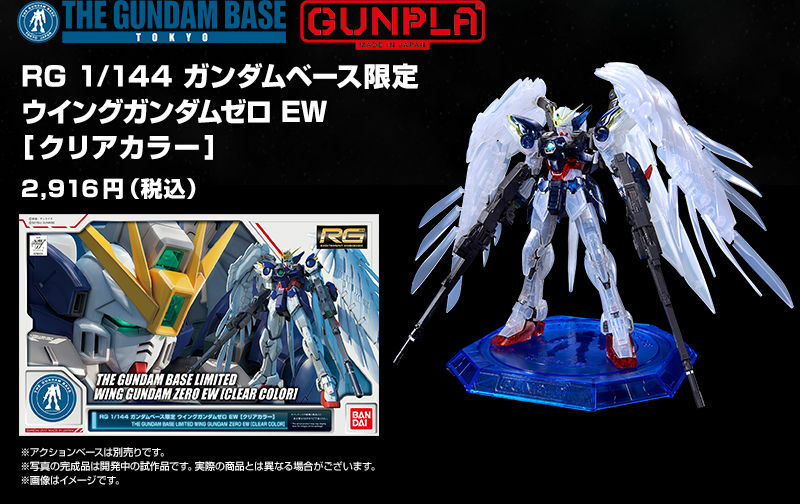 The clear color RG Wing Gundam Zero Custom EW will come with special Gundam Base Tokyo display base as bonus! 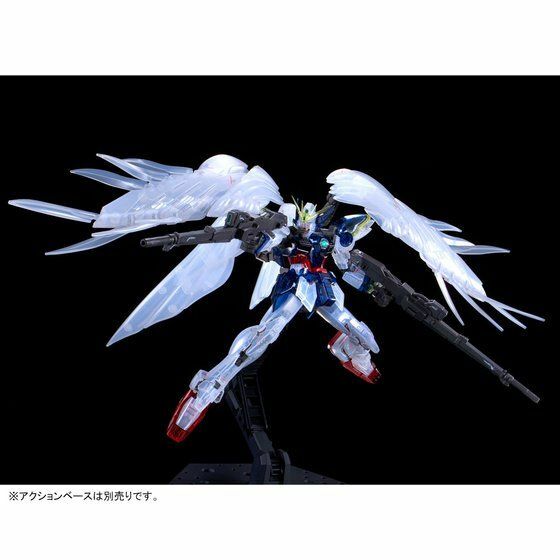 You can say that for every other RG series aside from Zeta which does get the MKII(in two unique variations) and Zeta & Unicorn (where bandai was like oh look they keep buying? 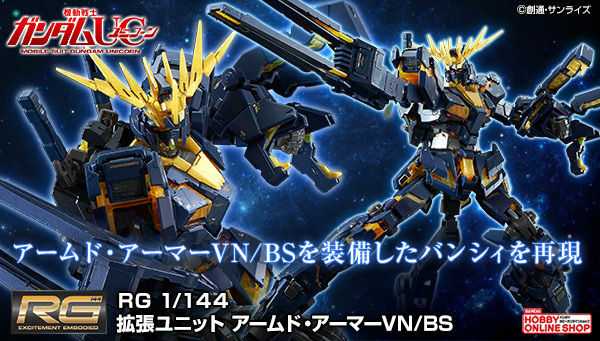 we keep making variants), but for all else at the very most we only get main Hero suits/Main villain Suits. 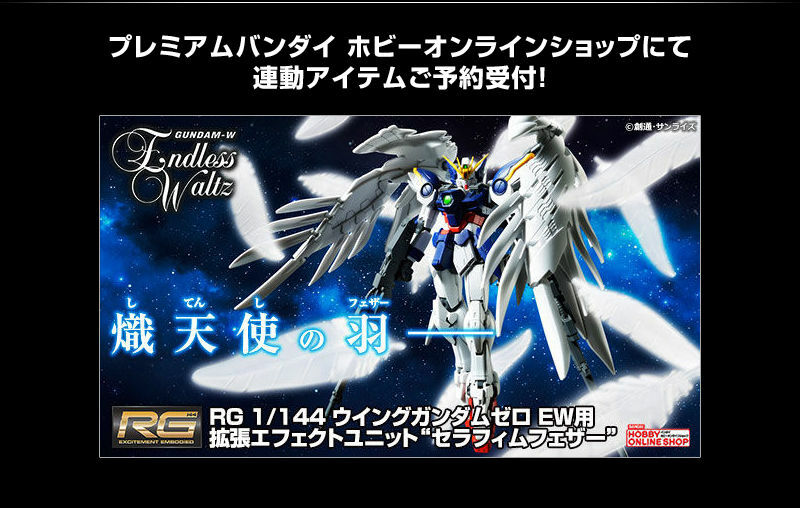 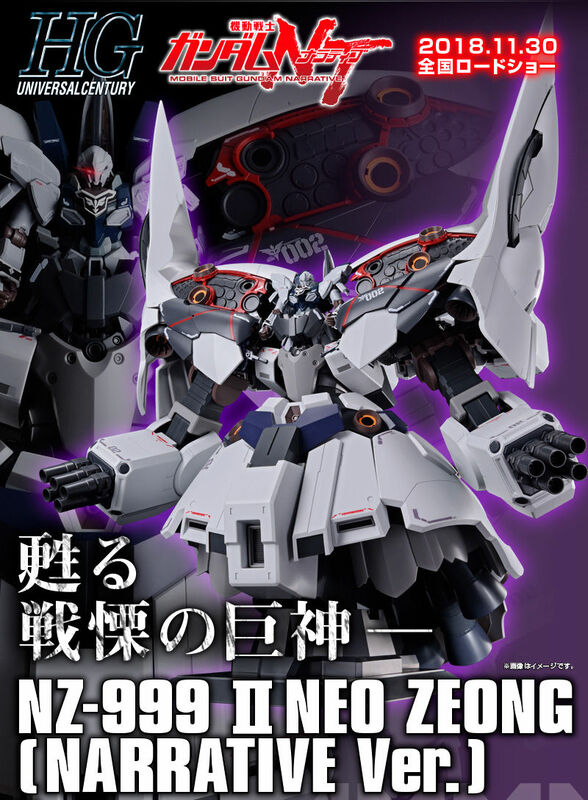 Probably should be glad theres an RG Tallgeese release so long after the initial Wing EW RG production.. instead of asking for another uniquely engineered rg? 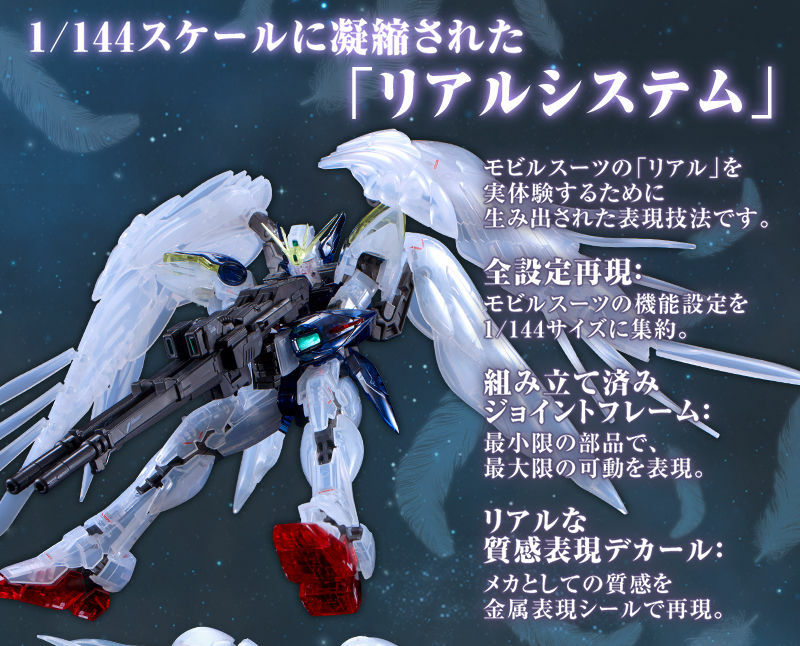 Death Scythe and the other gundams from wing are just as likely to get RGs as Seravee or Dynames, I imagine after giving us the Nu Gundam, branching out to another series like IBO or Narrative is of higher Priority for them.